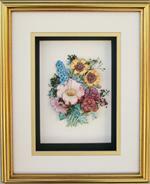 **SPECIAL** Shadow Box Frame # SB1008 Gold size 8x10 inches. Complete as shown with 3 Mats, Glass, Backing and Hardware. 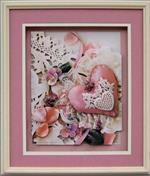 ALSO includes FREE Paper Tole 3D Art Kit size 5x7!! 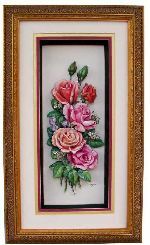 **Special**Shadow Box Frame # SB1010 Size 12x14 for 8x10 Pictures 51407 Includes FREE size 8x10 Kit! 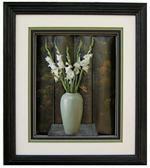 White Ash Shadow Box Frame Size 12x14 for 8x10 Kit Complete as with Mats, Glass, Backing and Hardware. FREE size 8x10 Kit $15.00 Value! Complete Frame size 8x8 with 3 Mats, Glass, Hardware and FREE 5x7 3D Kit! Oak Shadow Box Frame # 750BLK Black Size 12x14 for 8x10 Pictures. Complete as shown with 3 Mats, Glass, Backing and Hardware. Oak 750 stained Dark Walnut Shadow Box Frame size 20x24 inches for pictures size 16x20 inches Complete as shown with 3 Mats, Glass, Backing and Hardware. Oak 750 Dark Shadow Box Frame size 20x24 inches for pictures size 16x20 Complete as shown with 3 Mats, Glass, Backing and Hardware. Oak Shadow Box Frame Size 12x14 for 8x10 Kit Complete as shown 3 Mats, Glass, Backing and Hardware. This pictures has a small Printed Border that we choose not to show so the Mats are just a little bit wider. Black Oak Shadow Box Frame # 750BLK 10x12 pictures size 8x10 inches complete as shown with 3 Mats, Glass, Backing and Hardware. This print had a printed Border that we did not show so the frame was able to be smaller. Black Shadow Box Frame # BLK100 10x12 pictures size 8x10 inches complete as shown with 3 Mats, Glass, Backing and Hardware. 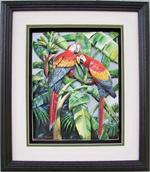 This print had a printed Border that we did not show so the frame was able to be smaller. Oak Black Shadow Box Frame # 750-BLK 10x12 pictures size 8x10 inches complete as shown with 3 Mats, Glass, Backing and Hardware. This print had a printed Border that we did not show so the frame was able to be smaller. Dark Oak Shadow Box Frame # 750DK 12x14 pictures size 8x10 inches complete as shown with 3 Mats, Glass, Backing and Hardware. Shadow Box Frame Black Oak 750 size 12x14 inches for pictures size 8x10 inches Complete as shown with 4 Mats, Glass, Backing and Hardware. 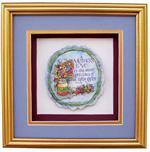 Oak Shadow Box Frame Size 7x9 for 5x7 picture. Complete as shown 3 Mats, Glass, Backing and Hardware. Oak 750-Wheat Shadow Box Frame size 10x19 inches for pictures size 6x15 inches Complete as shown with 3 Mats, Glass, Backing and Hardware. 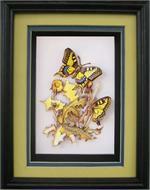 750 Oak Cherry stained Shadow Box Frame size 10x19 inches for kits size 6x15 inches. Complete as shown with 3 Mats, Glass, Backing & hardware. FREE Shipping in USA!! 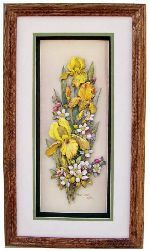 750 Oak White Wash Shadow Box Frame size 10x19 inches for kits size 6x15 inches. Complete as shown with 3 Mats, Glass, Backing & hardware. FREE Shipping in USA!! 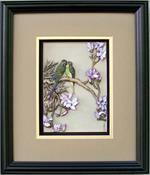 White Ash Shadow Box Frame Size 12x14 for 8x10 pictures Complete as shown 3 Mats, Glass, Backing and Hardware. FREE shipping in USA!! SB1012 Pecan Brown Shadow Box Frame size 12x14 inches for pictures size 8x10 inches Complete as shown with 3 Mats, Glass, Backing and Hardware. 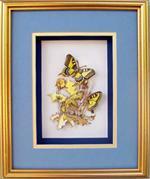 Shadow Box Frame Size 12x14 inches # Fancy Gold as shown for pictures size 8x10. 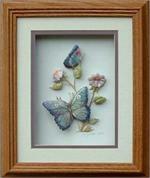 Shadow Box Frame Size 13x15 inches # FB900 Fancy Brown as shown for pictures size 8x10.